I’ve now spent more days on the pike fly fishing waters this season than any previous season, ever. And after 8 months since I started this season I still haven’t got a nice sized fish to show for it. It’s a bit frustrating actually. And it’s not for lacking being in contact with bigger fish, especially this past spring I was in contact with several fish over the meter mark but didn’t land any of them. Oh well, there are still a short span left of this season, and as long as there are no ice I will keep fishing. Hoping these two new articulated flies will do the trick! I was out for three hours with a friend this past weekend, in his boat on his waters so to speak. He’s not a fly fisherman (no one’s perfect) which is something I like because it is very interesting to learn from other fishing styles too. He had way more fish contacts with me this time and all of those was on a copper colored Buster jerk lure. 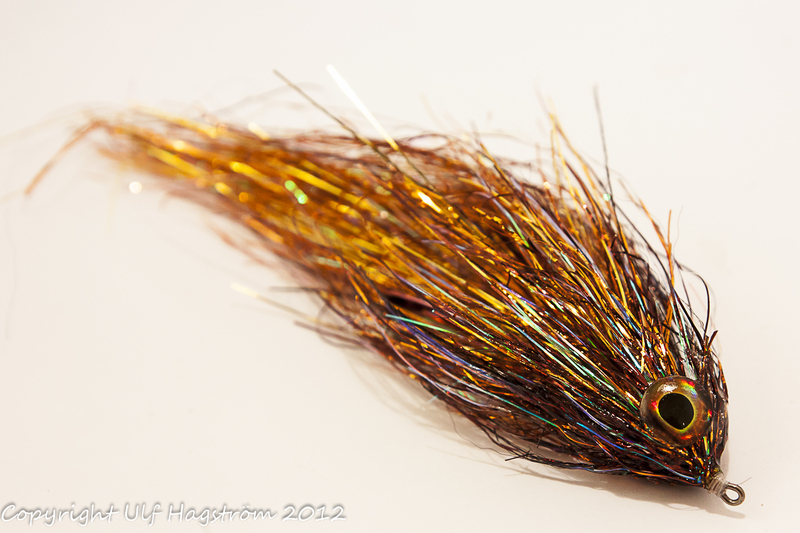 So even if it looks more gold than bronze the second fly below is my take on imitating that lure of his. 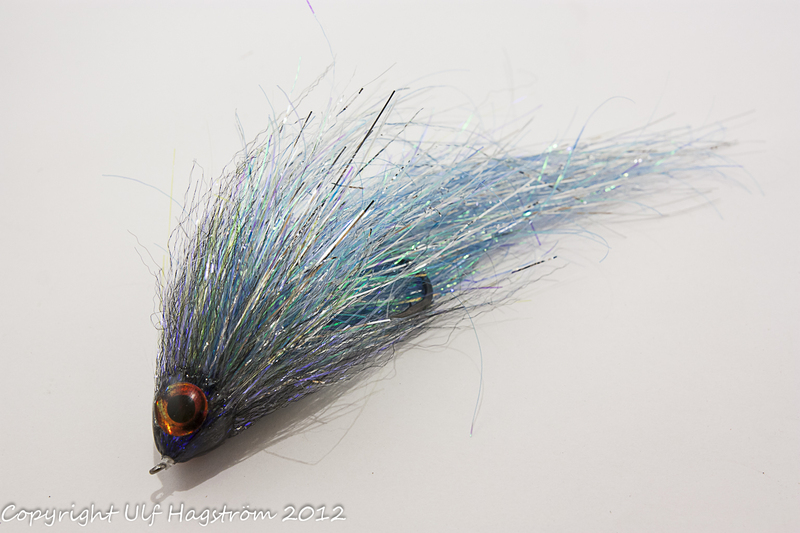 This entry was posted on Tuesday, November 20th, 2012 at 07:10	and posted in fly tying, Pike fly fishing. You can follow any responses to this entry through the RSS 2.0 feed. ULF- I know I am talking to an experienced Piker, but my common answer is this. If you know there are bigger fish and you are not catching them, then you need to throw bigger stuff. When pike fishing I do not throw anything less than 10 inches and bigger, up to 15 inches in the waters where bigger fish play. When fly fishing for pike the use of a wire trace is essential always. Pike boast very sharp teeth which will slice through other materials. A few have recommended the usage of hard nylon monofilament in a very heavy breaking strain, whilst conceding that occasional bite-offs were inevitable. This simply isn’t good enough as the variety of different trace wires now on hand provides the pike fly fisherman quite a few reliable options.